FEW things in the on-trade stay the same for long. Trends change, demand shifts, and operators either adapt or see their profits wane. So when Edinburgh group Montpeliers felt the market for traditional nightclubs constricting, the company decided it was time to shut its George Street club, Opal Lounge, and transform it into something completely different. The 17,500 square foot venue was opened in 2001 and went on to become a well-kent name in the city’s late-night scene, with customers in its heyday ranging from students and locals to visiting royalty. But Montpeliers development director, David Johnston, said customers in the capital are looking for different things from venues than they were in the past. 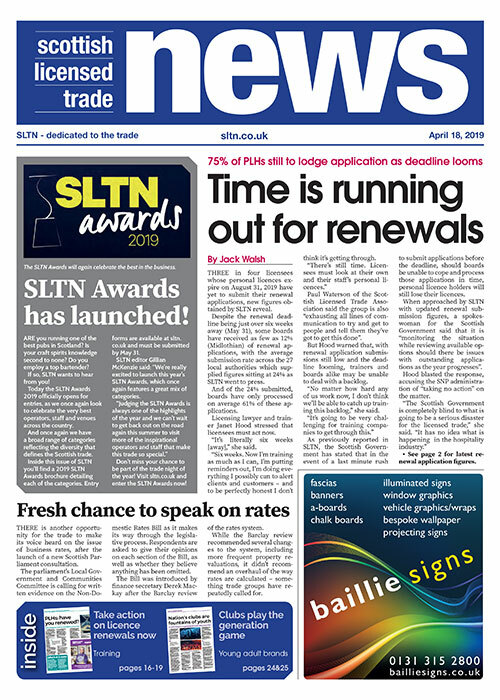 “With the rise of street-food and street-style festivals and the rise of the music festival people are looking far more for experiences than before,” he told SLTN. Street-food and street festivals very much provided the inspiration for the new venue, with Montpeliers aiming to create something quite unique to the city. “There are street markets and there are dive bars and there are late-night bars, but there’s not a place doing all of it,” said Johnston. The refit of the space was extensive. Working with Francey Joiners, with which Montpeliers has completed several refurbishments, much of the unit was stripped back to the original Georgian stonework and beams and furnished with urban materials such as reclaimed industrial lighting, tiles and balustrades, corrugated iron and exposed concrete. 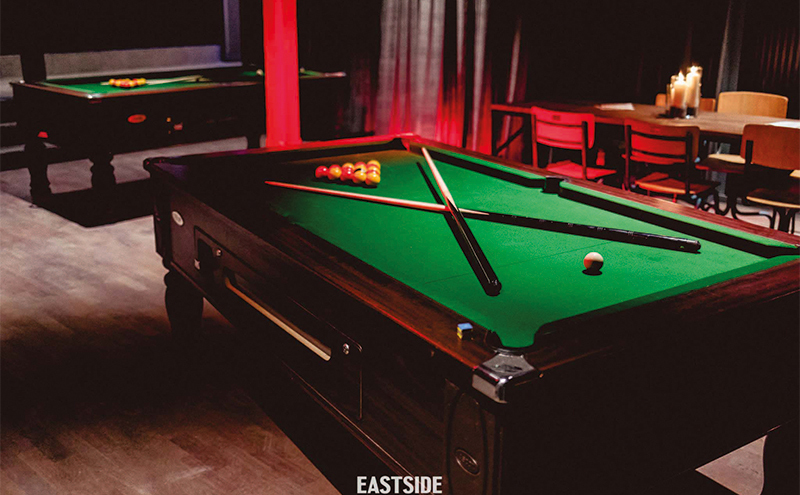 Several stalls and pop-up bars populate the space, and there are two free-to-play pool tables for customers to use. Graffiti-style art adorns the walls. And, in a significant shift from its former nightclub incarnation, there is no dancefloor. Instead, customers are encouraged to dance where they stand. The resulting venue, Eastside, is a world away from the glitz of its former incarnation. “If you knew Opal before, you wouldn’t recognise it,” said Johnston. In keeping with the street festival vibe of the space, the food and drink offers change over time, with the food stalls populated by different pop-up vendors every few weeks and a list of companies already having registered their interest in appearing. On the drinks side the company orders from suppliers including Belhaven and Inverarity Morton, with three of the four draught beer lines dedicated to Camden Town Brewery and one to Franciscan Well. Though the taps will likely stick with those brewers, Johnston said the specific beers will rotate. On the packaged side the beers will be switched out more regularly, keeping the offer fresh. The cocktail list, too, will be refreshed regularly, with around half of the dozen or so drinks on the menu having changed in the first month. Johnston said the adaptable list allows the venue’s bar team to be “experimenting all the time and coming up with what they think is the best thing for the season or that month”. “It’s so much easier to change a chalkboard than it is to reprint an entire menu of 40 pages,” he said. 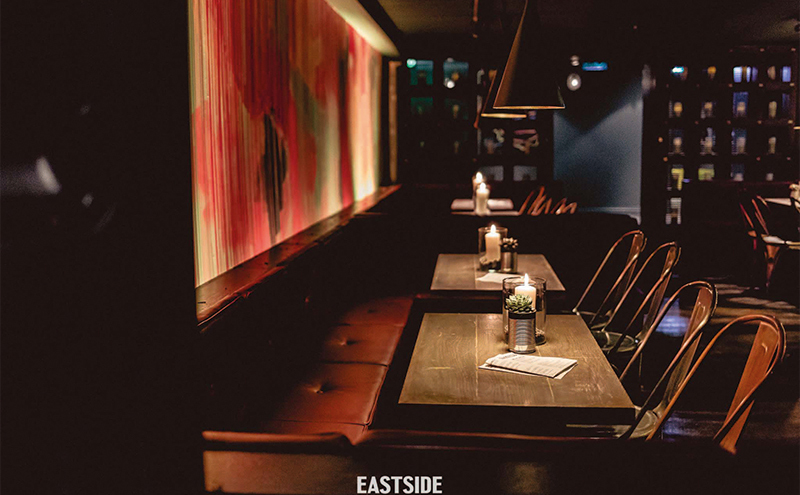 The transformed venue has been proving popular, according to Johnston, who said Eastside has attracted a broad cross-section of customers in the first weeks since opening. “You’re looking at retail workers, students, the whole shooting match,” he said.